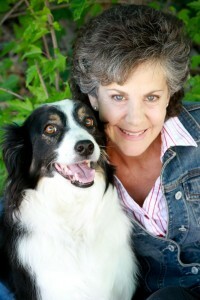 Barbara offers private sessions for people and their beloved animals. She is a licensed veterinarian, and now incorporates her medical knowledge, training in animal behavior, and her experience as a dog trainer to the telepathic communication she does with people and their companion animals. 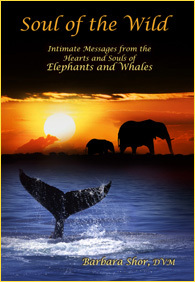 Barbara works at a soul level, meaning that she communicates with the individual and group souls of animals, as well as ascended masters, guides, teachers, and angels. The information that comes through can be quite profound and extremely revealing—both about the person’s as well as the animal’s higher nature and soul purpose. This work is not primarily about behavioral or physical complaints, although insights may be revealed about these things. The primary focus is on the energy behind the physical manifestations. What created this in the first place? What needs to be healed and how? What message needs to be delivered? One of Barbara’s special interests and gifts is her ability to work with the death and dying process. She has been involved with this for many years, both as a veterinarian and an animal communicator. Helping people and animals through the dying process is incredibly rewarding because it is a time that is often extremely challenging for people and also most precious, when the veils between worlds are very thin. It is a time for deep healing and insight. She can communicate with animals before, during, or after the actual release of the body occurs. This process has helped many people come to a place of peace with the dying process, freeing them to release guilt, anxiety and fear. At the same time, it helps their beloved animal move forward on his or her path, with more ease and joy. 1. Who are you, as a soul, and why have you incarnated this lifetime? 2. Why are we together and what are we here to teach one another? 3. Is there anything I can do for you or myself in order to prepare for your transition (death)? Is there a message you have for me about this? What do you need and want? 4. What can you tell me about myself that would be helpful for me to know? Can you give me any insights about my relationships, my soul purpose, or my living situation and lifestyle that might be helpful? These are just some suggestions of possible questions you might ask. Be creative and have fun with this. Ask things that would propel you forward on your own soul’s path. “I love to explore new ideas and go to new places. The soul’s journey is absolutely amazing and fascinating to me and I would love to go there with you, as fellow explorers and visionaries. The animals are magnificent and mysterious. They are wise teachers and extraordinary mirrors for us. If we can love and respect them as equals, there is no end to the magic and love that can be revealed. I look forward to meeting you and your beloved animal companion and to journeying to wild and wonderful places together if you choose to do so. “Many months ago I asked Barbara to help me with my cat, Cosmos, who was in distress over the many moves we have made in the last four years. Calling upon her animal communication skills she was able to calm him down and for the first time in quite a while. We came to an understanding that I would do my best to create a safe and stable home. He, in turn, gave us both some information regarding our roles on this planet! A week before Christmas I traveled to Colorado (from Oregon) to be with my family and asked a friend to house-sit. By the third day, Cosmos had disappeared and being so far from home, there was little I could do to help find him. I called Barbara and she graciously offered to come to my home and do a session with him. It was revealed that he had been badly frightened by disruptive energies and he told her that he no longer wished to participate on this planet. This has been a recurring theme in his life over the last few years and something she was unaware of at that time. Over the next days, Barbara continued the conversation with Cosmos and, with her assistance, I came to the painful but understandable truth that he was best served by leaving. I am so grateful for Barbara’s clear and heart-felt attention to him, and when I arrived home, we talked at length about my letting go so he could pass over and find peace. Barbara’s incredibly accurate information helped me better understand my own notions of death and the continuity of spirit without the body. When she called me to come over to her home so she could tell me that Cosmos had decided to leave, both her beautiful dog, Ari, and her mystical cat, Buddha, gathered around me as she read me the message she had received about his decision to leave. Within minutes I felt a great sadness hit my heart and I understood that he passed in those moments. Barbara continued to contact him as he transitioned out of his body and I know he found a peaceful way to leave. “I am so grateful to you, Barbara, for the very loving and deeply soulful session my cat Annabelle and I had with you. It was absolutely the catalyst for deeper healing that is continuing. I also feel that I have a deeper and more “real” relationship with Annabelle. My love and respect for her have increased, and I am able to allow myself to open to her love and respect for me as well. Our session has significantly helped me/us on our healing journey. “Thank you so much for the communication session with Aggie. As she is a quirky little dachshund, it was enlightening for me to understand why she does some of the things she does. Her answers were exactly what I would have expected from such a little, lovable character. You channeled her personality perfectly. But more than that, our session made me realize what a sentient being she is, and how much she understands about what is going on. I find I am talking with her much more now, which seems to ease her mind about my leaving and assures her that I will be returning. It feels like our connection is even deeper now.